The Organic Soul Food Greens offers a wide range of vitamins and minerals, antioxidants, beta carotene, calcium, chlorophyll, iron, vitamin K, vitamin C, B6, B12, folic acid and other trace minerals, combined with high quality vegetable proteins and fibres. All these ingredients create a complex that can support physical health and performance, detoxification, energy levels – these ingredients can also support intestinal flora and help re-establish normal acid/alkaline levels in the body. 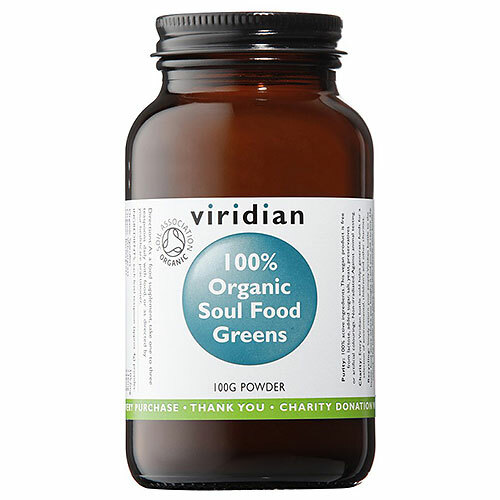 Viridian Organic Soul Food Green Powder is also available as 90 Vegicaps to consume 1-3 times a day with food. 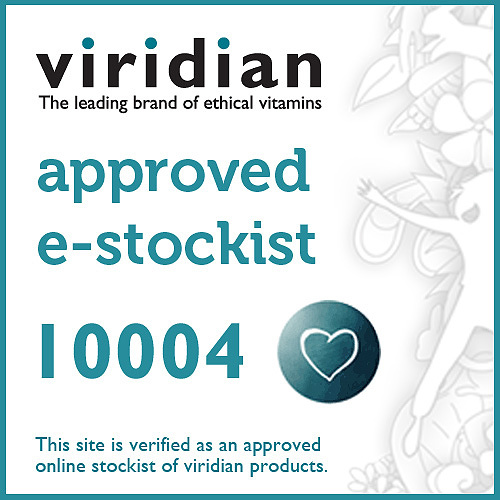 Below are reviews of Viridian Organic Soul Food Greens Powder - 100g by bodykind customers. If you have tried this product we'd love to hear what you think so please leave a review. A premium combination of organic green food powders: spirulina, wheatgrass, barleygrass, alfalfa, wild wrack seaweed & chlorella. For best results, take 1-3 teaspoons (4g) a day with food.